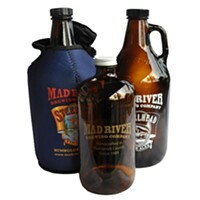 The Paula Jones Band comprised of Ken Lawrence, Tim Randles, Mike LaBolle, Don Baraka and Mrs. Jones will be playing up at the Mad River Brewery at 6 p.m. for free. I got a nice email — with photos! — from Brian Netzley of L.A.-based band The Black Market Trust, which plays The Arcata Playhouse at 8 p.m. Brian's also a member of the Gonzalo Bergara Quartet (along with guitarist Jeffrey Radaich) so you can expect some killer Gypsy jazz from this group, but he tells me they also mix in some "Rat Pack-era Sinatra, The Beatles, and Beach Boys," so this sounds like a pretty intriguing blend of tunes. Welcome them to Arcata with $15.